At Intensive Therapeutics, we provide individual occupational therapy evaluations and treatment. We only hire qualified pediatric therapists. Fine and gross motor difficulties. Occupational therapy is skilled treatment that helps individuals achieve independence in all facets of their lives. Occupational therapy assists people in developing the “skills for the job of living” necessary for independent and satisfying lives (retrieved from http://www.aota.org/). Occupational therapy focuses on enabling people to do the activities of daily life. The very word “occupation” – means an activity which “occupies” our time. A child in grade school has the occupation of learning. An adult may need to learn how to write after a traumatic injury. A senior may want to continue driving safely in order to stay active in their community. All of these things are occupations and participating in them is vital to maintaining overall health and wellness (retrieved from http://www.aota.org/). 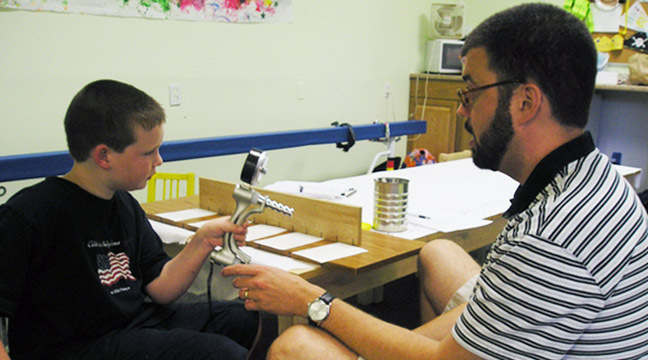 Clinical observations: the OT looks at how your child does specific tasks. Norm-referenced tests. Norm-referenced scores compare test-takers to a sample of peers. Criterion-referenced tests. Criterion-referenced scores compare test-takers to a criterion. Interviews of parents, caregivers and significant others (doctors, therapists, teachers, etc.). Both forms must be completed, signed and the originals received at least one month before the start date of camp.